Scientific Name(s): Pelargonium carnosum (L.) L’Hér. Photographer(s) Appreciation: Thank you to Amir Auerbach of Israel, who shared this photograph via email many years ago. Digging through the "BPotD Pending" folder in my email always reveals some treasure! 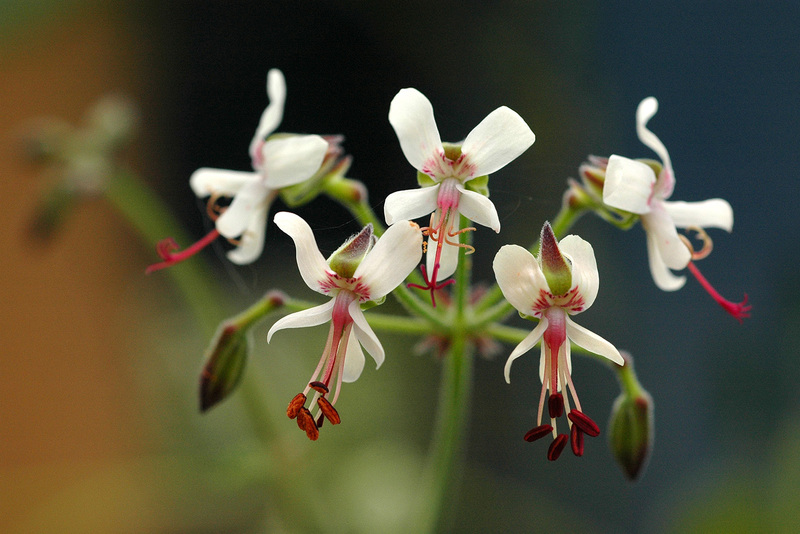 Fleshy-stalk pelargonium is a drought-deciduous succulent native to South Africa and Namibia. How fleshy is the stalk? Very. Unlike any other member of the Geraniaceae I am familiar with, the fleshy twigs of Pelargonium carnosum can be “eaten as a snack“. This prompted me to question the edibility of the geranium family in general. I had a vague recollection that the petals and leaves of some of the scented-leaf pelargoniums could be eaten or used as flavouring, but I was also interested to learn that the roots of some Geraniaceae are also edible. Every year, the students in UBC’s Horticultural Training Program are assigned a project in which they have to document the plant families they ingest; I don’t think any of the students have yet submitted Geraniaceae. For this layman, a lovely plant. I hope somebody takes your suggestion to heart. I, too, would like to know about ingesting geraniums. Have a backyard full of nasturtium that I eat regularly! Have not tried the roots yet, but I understand they’re edible. Can you confirm, Daniel? Sounds like that is the case for the typical nasturtium, but even moreso for its relative, Tropaeolum tuberosum (reputed also to have a…side effect). I have a recipe, never tried, which involves placing geranium leaves in the bottom of a cake pan before pouring in the batter and baking. I think they are supposed to be from a lemon geranium. Not quite the same as actually ingesting leaves or stems, but probably interesting. That would be interesting! Does the recipe call for disposing of the leaves after? I don’t recall that the directions mentioned that detail ! I suppose the leaves imparted a delicate flavor, and maybe left an imprinted design on the baked cake. My grandmother used to put a sprig of lemon geranium in water, a finger bowl, to dip our fingers in after eating. I don’t remember encouragement to eat the geranium however. It was a very nice end of the meal freshening ceremony. Clearly not carnosum but laxum ssp laxum. Carnosum never has back folding petals and downward facing buds. Certainly seems to be the case! I’ll update. What a lovely lovely image on a grey and snowy day!